This sci-fi fantasy is brought to life with a spectacular orchestral soundtrack and a visual feast of futuristic characters and outstanding costumes. The performance features reptilian aliens, luna queen, space age fashionistas and a Gaga-esque pop diva. 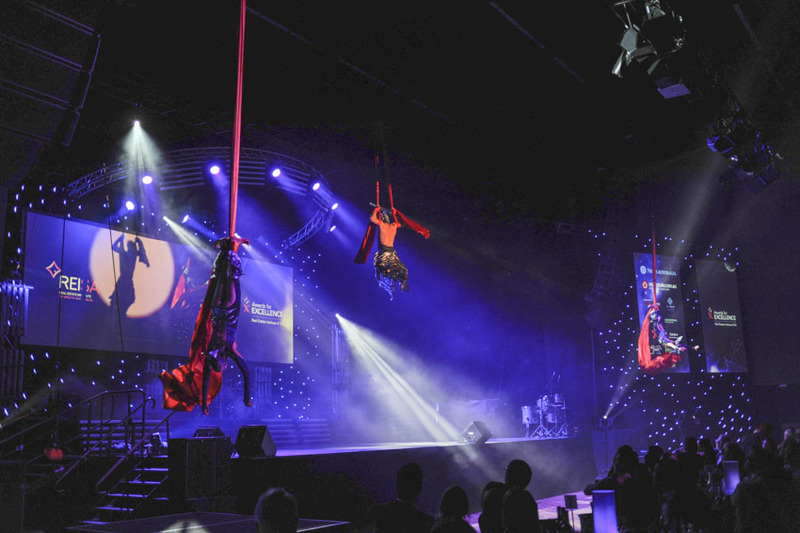 Audiences will be riveted by this dramatic floorshow, uniquely created with a blend of live voice and dynamic live percussion performing alongside breathtaking aerialists and contemporary / pop dance artists.